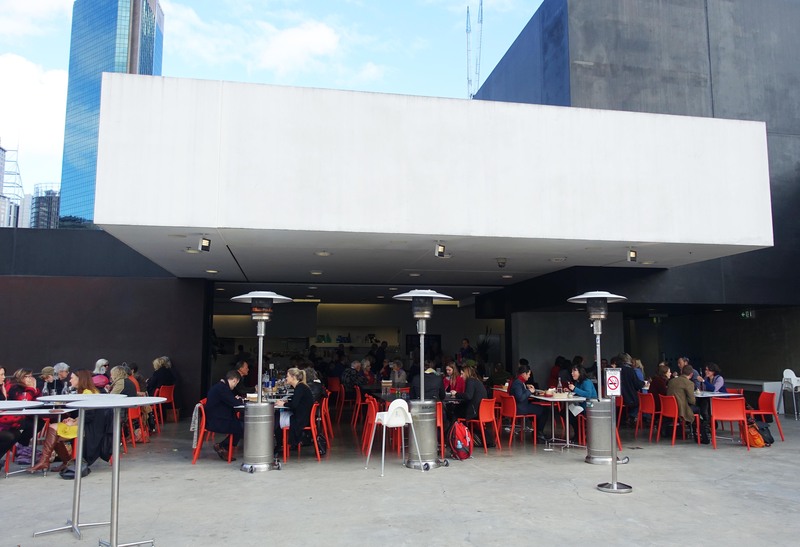 MCA Cafe is located near the roof of the Museum of Contemporary Art with sweeping views of Circular Quay and Sydney Harbour. 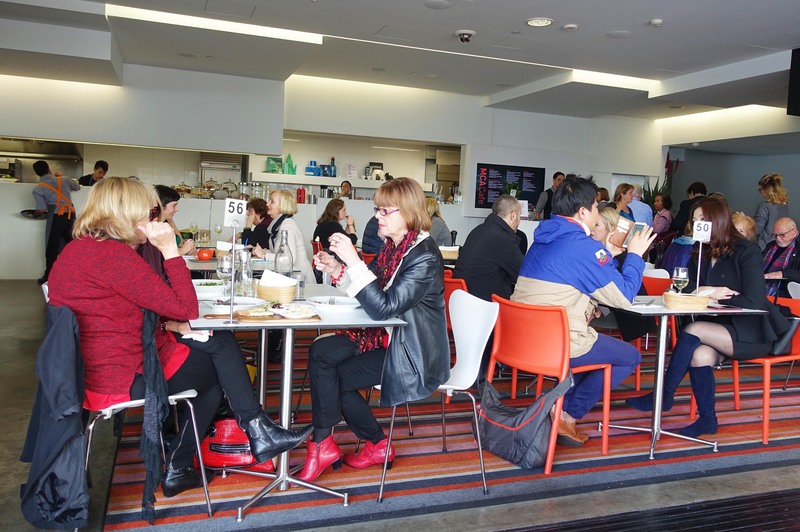 The cafe serves up a menu of Modern Australian crowd pleasers. 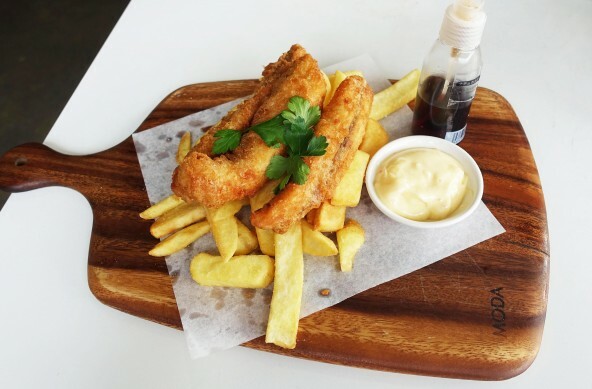 I would never be able to say no to a good plate of beer battered chips so when I saw that half the cafe was ordering the dish I decided I had to as well. The fish and chips were quite good and served crispy. Take note of the intriguing spray bottle filled with Japanese malt vinegar, definitely an interesting twist. I’m usually not a fan of pot pies in general because I’d like to have more pastry to eat, in this case however, the pie was more of a beef stew (think beef goulash) and definitely justified the use of a pot rather than pastry. The soup was a very rich and flavourful concoction and was actually quite filling. 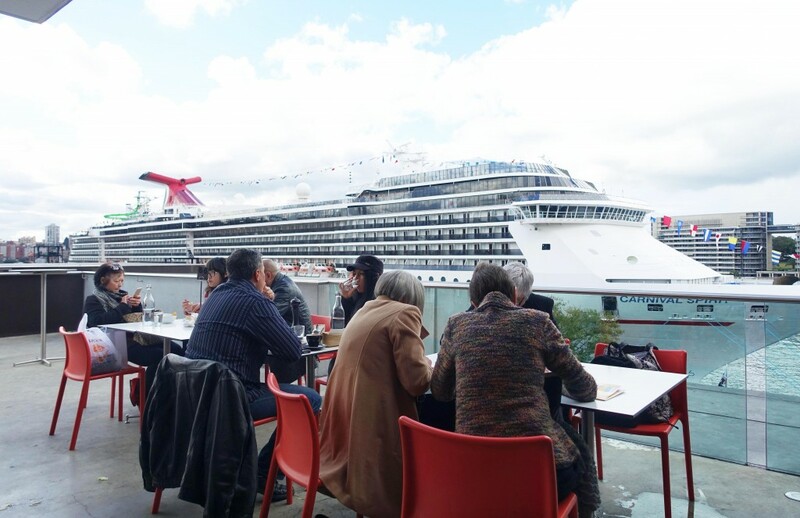 As you can see, on a week day lunch the cafe is filled to the brim with local office workers and tourists, the view is definitely the best part of the meal as it’s otherwise relatively pricey for a lunch. 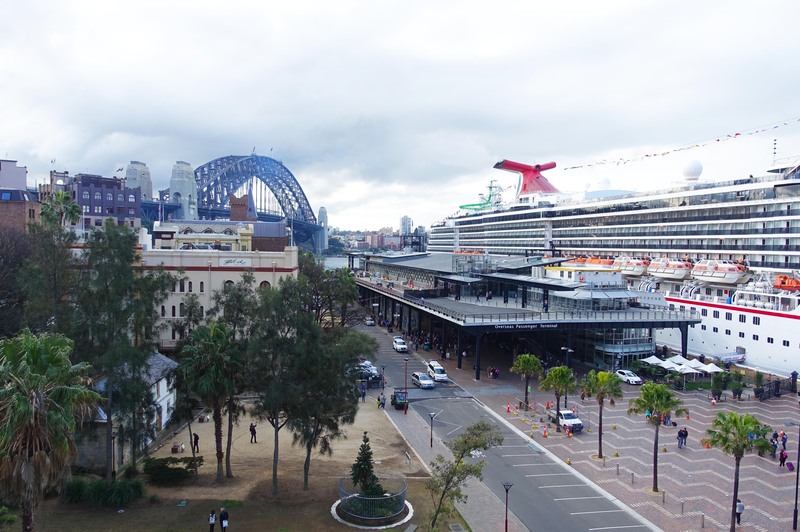 The cafe also has more of a tourist food court vibe to it, not the greatest atmosphere but definitely made up for by the views. 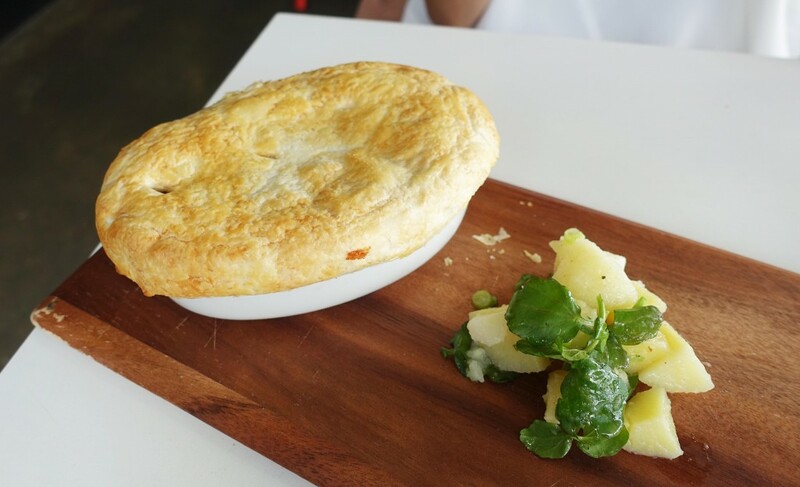 “Wagyu beef shank pie” need not say more! This is the bomb! hehe i’m with ya, i prefer more pastry in my pies but i loove beef shanks so will have to try this!